When moving a waterbed it is vital not to disturb the inner fleece layers. This can only be achieved by thoroughly draining the waterbed so that it is almost empty. A tap operated draining pump. The middle exit nozzle should be connected to a hose connected to the waterbed and the adaptor in 2. 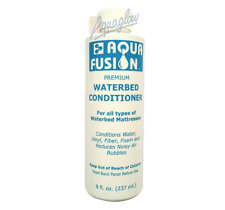 2 Years Aqua-Fusion Premium Concentrate Waterbed Conditioner, all bed sizes. Premium Concentrate Aqua-Fusion 8oz conditioner. The best conditioner for neglected waterbeds. Premium Concentrate Aqua-Fusion 4oz conditioner. The best conditioner for neglected waterbeds. 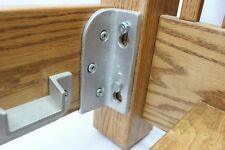 Veryheavy duty brackets that are easy to install. No mortise needed. No mortise. • set of four brackets. 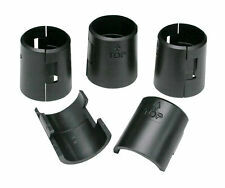 • set of 5/8" x 1.5" lags. • set of 7/8" screws. "Good price and quality. "Very good product". This is a new Waterbed Air Extractor Pump. This is a new plain white extractor pump. This is a simple but top quality pump which will give many years of service and will outlive your waterbed. There are slight differences but, the quality is identical and the price is lower. 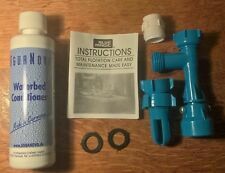 Waterbed Filling Kit, Easy Fill, From Your Shower, Fast & Safe. Quick delivery. Remove your shower head from the shower hose and screw in the black adapter, attach the other end of your garden hose, secure with the other Jubilee clip for a convenient, safe and easy way of filling your waterbed. This is a new bottle of concentrated crystals for waterbeds. These Glides Replace a Broken Glide or take the place of an Existing Wheel/Caster. Installation is easy. Brakes Are On All 4 Casters. The water pump is self priming and the rated maximum is 3000 litres per hour (lph). This pump is for quickly and safely draining your mattress, very easy to use, makes your mattress much lighter and easier to move. When moving a waterbed it is vital not to disturb the inner fleece layers. This can only be achieved by thoroughly draining the waterbed so that it is almost empty. One draining adaptor. This is to be fixed to the waterbed filling nozzle to ensure an air-tight fit and push the internal fleece layers away from the nozzle so they are not disturbed. When moving a waterbed it is vital not to disturb the inner fleece layers. This can only be achieved by thoroughly draining the waterbed so that it is almost empty. Filling a waterbed by sticking a hose in the nozzle disturbs the fleece layers. Each bottle of waterbed conditioner is 250ml. 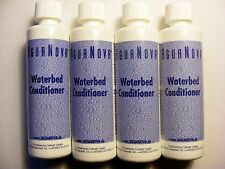 This waterbed conditioner is the best value, high quality conditioner available. A very simple choice ! Recliner Retraction Tension, Made in USA, Excellent Quality. 4.5" Overall Length [Hook to Hook]. This is a small repair set for waterbed punctures and small holes. The set contains a small tube of vinyl adhesive and a transparent vinyl patch. The patch is too big for most punctures and can be cut to size. This is a white fitted stretch sheet for a queen size double waterbed. A normal fitted sheet has short sides and does not fit properly over the mattress. This sheet will fit perfectly. The sheet is made of high quality stretch fabric with 97% cotton and 3% elasthan. Beds utilizing wood slats for support need added legs in the middle to prevent bowing and cracking of the slats. The Bed Claw® Unibody Adjustable Height Bed Slat Support Leg system has been designed and developed from the floor up specifically for beds with slats. The Centre Bed Rail Fitting is ideal for a timber bed of any size. There are no colour options available with this product. Only available as pictured. With no spillage and very secure this "from shower" filling kit is a must for every Dual water mattress owner. All the parts for a Dual waterbed mattress shower filling kit are included, just use your own 1/2" garden hose, instructions are included. The water pump is self priming and the rated maximum is 1300 litres per hour (lph). This pump is for quickly and safely draining your mattress, very easy to use, making your mattress much lighter and easier to move. Waterbed Heater KERATEC 3rd Generation 240w, UK plug, VERY QUICK 1st class p&p. Ceramic Keratec 3 Waterbed Heaters are the newest range from Sigma K. Powerful enough even for the largest waterbed. Plug it in, and let the thermostat look after you. Factory fitted, Fused 3 pin U.K. plug. Waterbed Heater 270w Carbon Fibre, UK plug, INCLUDES VERY QUICK 1st class p&p. Carbon Classic Waterbed Heater. Powerful enough even for the largest waterbed. Plug it in, and let the thermostat look after you. Factory fitted, Fused 3 pin U.K. plug. For Traditional Hard side or Soft side beds. When moving a waterbed it is vital not to disturb the inner fleece layers. This can only be achieved by thoroughly draining the waterbed so that it is almost empty. two draining adaptors. This are to be fixed to the waterbed filling nozzles to ensure an air-tight fit and push the internal fleece layers away from the nozzle so they are not disturbed. Setting the highest standards in waterbed heating. Reminder function to condition your waterbed mattress. and a thermostat. If the water temperature in your bed is cold it will output up to 270w into the heater pad to warm the water quicker. Hook Angle Offset, Recliner Retraction Tension. 3-5/8" Overall Length, [3.50" Inside of Hook to Inside of Hook]. This is a small repair set for waterbed punctures and small holes. The clamp is cheap but surprisingly robust with a good grip. In one of the photos we have shown the clamp in use. If you wish you can put in 2 discs to grip the vinyl to be repaired - this will put pressure on a larger area. Fits all sizes and types of waterbed mattresses. Lifting wings for easy screwing. For a water tight seal on your mattress. Secure screw on cap and seal. This is a large waterbed repair set. It has a 29.5 ml tube of glue. The thought of electric current in a waterbed is a source of worry to many people. In addition to the thermal cutout and a thermal bridge, the Carbon Heater® system is also fitted with a "PTC" effect. It is 200 Watt and so will heat your bed but will not use a lot of electricity. This is a new foil waterbed heater with a factory fitted UK Plug. Dual Mattresses need 2 heaters. Quantity: 1 Clamp (Includes L-Bolt). These are two small repair sets for waterbed punctures and small holes. The clamp is cheap but surprisingly robust with a good grip. In one of the photos we have shown the clamp in use. If you wish you can put in 2 discs to grip the vinyl to be repaired - this will put pressure on a larger area. Wheel Width: 2". Quantity: 1 (One). Evelots Bed/Furniture Risers-Stackable-Heavy Duty-3,5 Or 8 Inch Rise-Set of 8. Per bed stand (total 1400 lbs.). More than just a pretty picture. The Tommo bed bracket is ideal for a timber bed of any size. One set of Tommo brackets will provide you with enough pieces for one bed. You just simply screw in the plate flush with the end of your side rail, then set the bracket at what ever height you desire. This is a universal screw cap and stopper set which will fit all standard waterbeds. This is a white fitted stretch Mattress Protector for a large king size double waterbed. A normal Mattress Protector has short sides and does not fit properly over the mattress. This will fit perfectly. 4 Black powder-coated metal bed legs Serta Sealy Leggett Platt mattress frame 9"